Tarbuttite: Mineral information, data and localities. White, colourless, yellow, red green or brown; colourless in transmitted light. Named after Percy Coventry Tarbutt ( - 24 May 1943), a Director of the Broken Hill Exploration Company who collected some of the first specimens at Broken Hill (now Kabwe), Zambia. 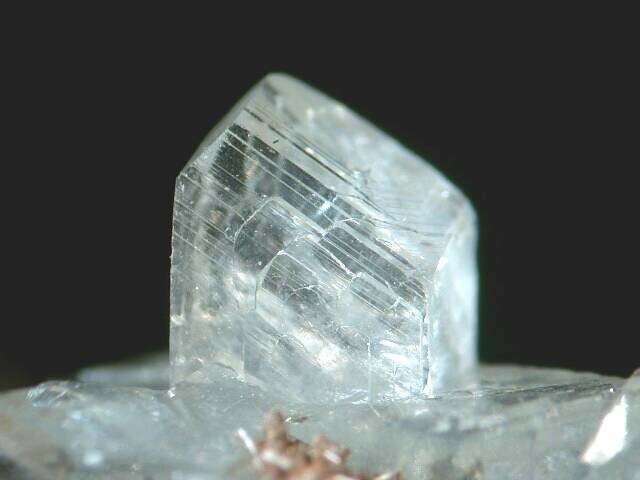 A rare secondary zinc phosphate. A synthetic orthorhombic (libethenite-type) polymorph is known (Harrison et al., 1995). Lustre pearly on the cleavage surfaces. Crystals equant to short prismatic . Commonly found as sheaf-like aggregates or as crusts. 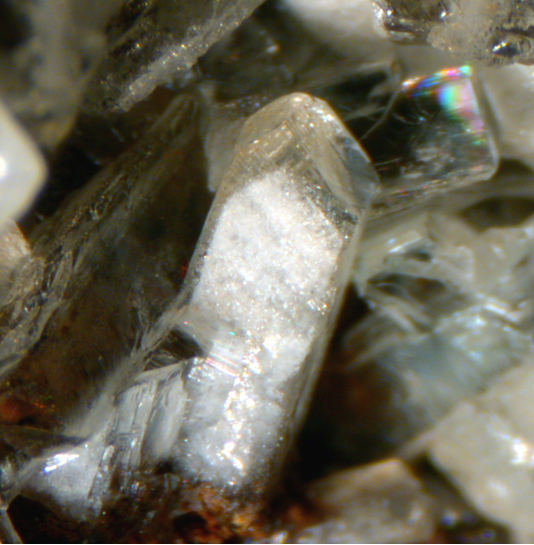 Individual crystals commonly rounded and deeply striated. Upper portion of the oxidation zone where phosphatic solutions reacted with earlier formed hemimorphite and cerussite. Hemimorphite 25 photos of Tarbuttite associated with Hemimorphite on mindat.org. Skorpionite 20 photos of Tarbuttite associated with Skorpionite on mindat.org. Hydroxylapatite 19 photos of Tarbuttite associated with Hydroxylapatite on mindat.org. Smithsonite 6 photos of Tarbuttite associated with Smithsonite on mindat.org. Parahopeite 6 photos of Tarbuttite associated with Parahopeite on mindat.org. Pyromorphite 4 photos of Tarbuttite associated with Pyromorphite on mindat.org. Hopeite 3 photos of Tarbuttite associated with Hopeite on mindat.org. Hydrozincite 3 photos of Tarbuttite associated with Hydrozincite on mindat.org. Stolzite 3 photos of Tarbuttite associated with Stolzite on mindat.org. Quartz 1 photo of Tarbuttite associated with Quartz on mindat.org. 19.6.6 Kipushite (Cu,Zn)5Zn(PO4)2(OH)6 · H2O Mon. 19.6.8 Parascholzite CaZn2(PO4)2 · 2H2O Mon. 19.6.12 Jungite Ca2Zn4Fe3+8(PO4)9(OH)9 · 16H2O Orth. 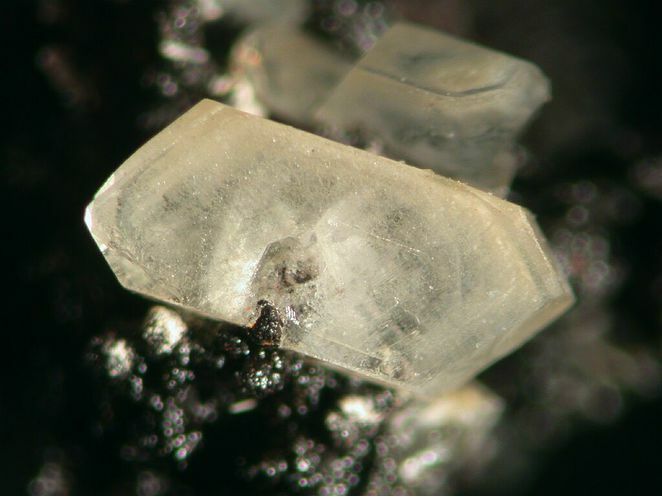 May form pseudomorphs after smithsonite, descloizite and possibly also hemimorphite. May alter to parahopeite. Spencer (1907) Nature: 7: 215. Spencer (1908) Mineralogical Magazine (1908): 15: 22. Rosický (1913) Bull. Ac. Sc. Bohême: 18: no. 35. Larsen, E.S. (1921) The Microscopic Determination of the Nonopaque Minerals, First edition, USGS Bulletin 679: 141. Buttgenbach and Mélon (1931) Ac. Roy. Belgique, Bull., Cl. sc. : : 17: 892. Richmond (1938) American Mineralogist: 23: 881. Richmond (1940) American Mineralogist: 25: 475. Palache, C., Berman, H., & Frondel, C. (1951), The System of Mineralogy of James Dwight Dana and Edward Salisbury Dana, Yale University 1837-1892, Volume II. John Wiley and Sons, Inc., New York, 7th edition, revised and enlarged, 1124 pp. : 869-871. Fanfani L., Zanazzi P.F. (1965), Dati strutturali sulla tarbuttite. Periodico di Mineralogia – Roma, 539-545. Finney, J. J. (1966). Unit Cell of Tarbuttite Zn2 (Po4)(oh) and Paradamite Zn2 (Aso4 (Oh). American Mineralogist, 51(7), 1218-1220. Cocco, G., Fanfaxi, L., & Zanazzi, P. F. (1966). The crystal structure of tarbuttite, Zn2 (OH) PO4. Zeitschrift für Kristallographie-Crystalline Materials, 123(1-6), 321-329. Harrison, W.T. A., Vaughey, J. T., Dussack, L. L., Jacobson, A. J., Martin, T. E. and Stucky, G. D. (1995): Two new adamite-type phases, Co2(OH)PO4 and Zn2(OH)PO4: structure-directing effect of organic additives. J. Solid State Chem. 114, 151-8. The following Tarbuttite specimens are currently listed for sale on minfind.com. Paradis, S., Keevil, H., Simandl, G. J., & Raudsepp, M. (2015). Carbonate-hosted nonsulphide Zn–Pb mineralization of southern British Columbia, Canada. Mineralium Deposita, 50(8), 923-951.
ⓘ Black Cloud Mine (Resurrection Mine 0080650339; Yak Tunnel; Leadville Unit; Irene Shaft) ? Nature (1907) 76, 215; Palache, C., Berman, H., & Frondel, C. (1951), The System of Mineralogy of James Dwight Dana and Edward Salisbury Dana, Yale University 1837-1892, Volume II: 734, 736, 870.